Application cut off is Feb 10th, 2019. • Free Spring Group Model Session - This session will be your model session and will be on a Sunday at the start of May. You will receive digital images to spread all over the interwebz. Images must be shared frequently with all vendors tagged. If you don't like to post pictures this is not the program for you! • 25% Discount off your senior session - This is your actual senior session and can be completed during any season you'd like! I'm in.. what do I do? All I need you to do is fill out the application below and upload a current head shot and full length image. 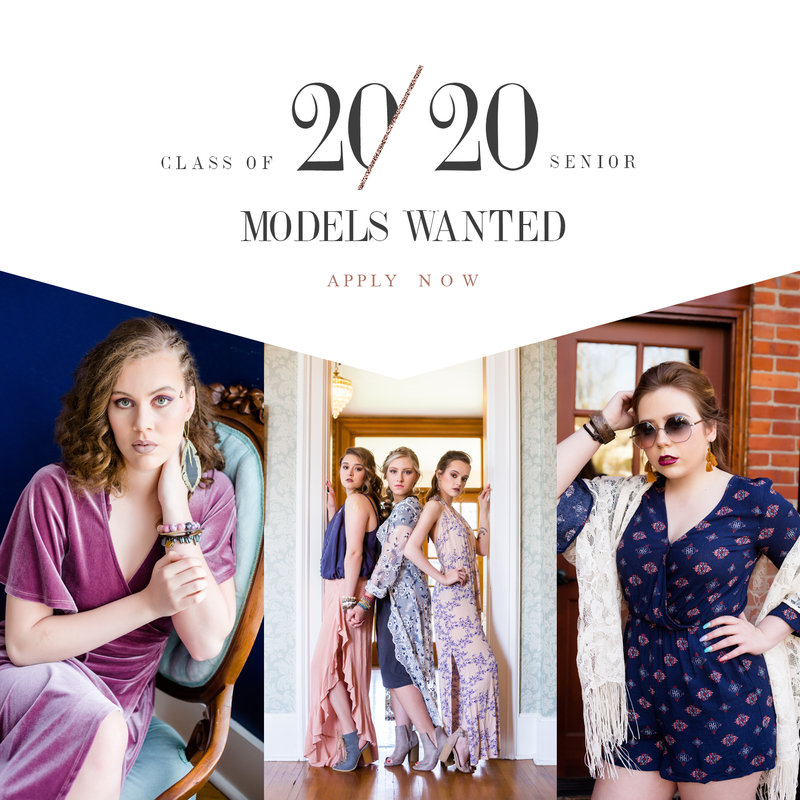 I am looking for students that are active in their school and social media, fun, spirited, kind, and willing to promote Captured by Lydia photography, Wonderfully Made and Beauty by Jill. You must be a junior in a local high school that will graduate in 2020. Applications will not be accepted after February 10th. I will be taking an in depth look at your social media platforms to make sure you are a good fit for our senior model program and will represent our brands well. If you have a private account please accept my requests :) We need models that are going to share their images heavily across all social media, a group shoot image MUST be shared and vendors tagged at least twice a month through September. A MANDATORY Parent and Model meeting will take place February 17th at 2:30! A parent and model must both be present to be accepted to the program ***PLEASE note by becoming a Senior Model you are agreeing to represent Captured by Lydia ONLY for 2019-2020, thus agreeing to have your senior session done by me and no other photographer. Please familiarize yourself with my senior packages by CLICKING HERE. You will be required to select a discounted 1 hour or 2 hour senior session [Discounted pricing is as follows >> 1hr- $206 | 2hr-$375] A signed contract by model and parents of model AND payment for either a 1 or 2 hour senior session will be required before your acceptance to the program will be complete the deadline for the contract and payment will be a week from the parent/model meeting. Facebook IS LIFE! Check it daily Check it a couple times of week What's Facebook?